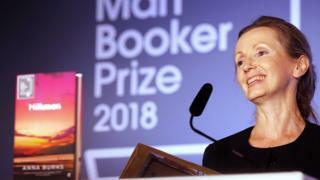 Belfast-born author Anna Burns has seen sales of her Man Booker Prize-winning novel Milkman grow by ”more than 1,000%” since being shortlisted. The book’s publisher Faber has printed up to 100,000 copies since the award was presented on Tuesday night. By Friday morning it was sold out in a number of book stores in Northern Ireland. It also topped the Amazon UK book chart. The novel, which is based in Belfast during the Troubles, focuses on a young girl’s affair with a married man. Eason’s and Waterstones’ Belfast stores were waiting on deliveries on Friday morning to have Milkman available for weekend shoppers. Faber’s UK sales director, Dave Woodhouse, told publishing magazine The Bookseller, the firm had seen “phenomenal demand, way ahead of the initial numbers retailers quoted, and overall across all physical editions the total now stands at 155,000 – for now”. He added: “We’ve got 17,000 hardbacks in print, and will reprint a small number (perhaps 3,000) for now but may do more as we run up to Christmas and have a chance to plan with retailers”. The publisher added that since being shortlisted three weeks ago, its sales had gone up by 1,103% compared to the three weeks before. Belfast book store No Alibis had sold out of its copies on Thursday. Owner David Torrens told BBC News NI that the novel was doing well even before the award. Mr Torrens said that Burns coming from Northern Ireland made the story resonate all the more. 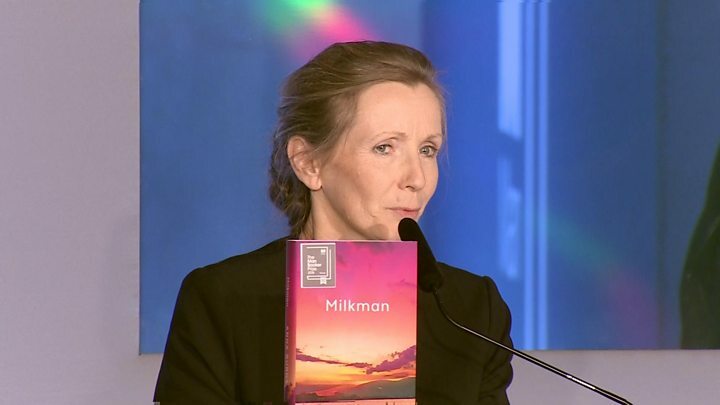 Milkman will hit the US bookshelves in December.